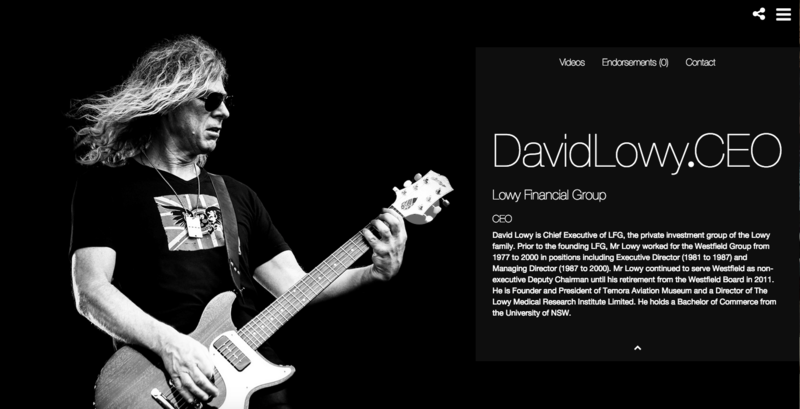 David Lowy is the CEO of LFG, the private investment group of the Lowy family. Prior to the founding LFG, Mr Lowy worked for the Westfield Group from 1977 to 2000 in positions including Executive Director (1981 to 1987) and Managing Director (1987 to 2000). Mr Lowy continued to serve Westfield as non-executive Deputy Chairman until his retirement from the Westfield Board in 2011. He is Founder and President of Temora Aviation Museum and a Director of The Lowy Medical Research Institute Limited. He holds a Bachelor of Commerce from the University of NSW. Download our White Paper and learn more about David Lowey and thousands more CEOs.